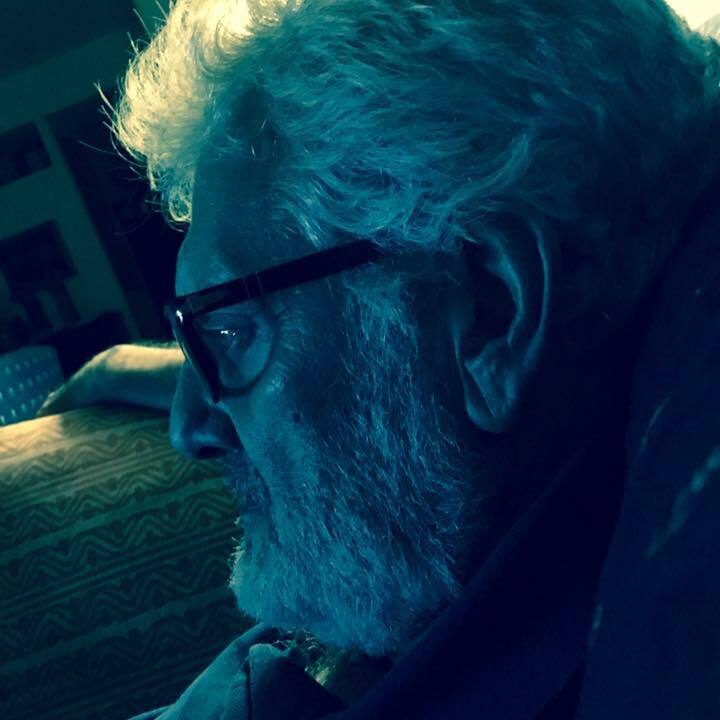 This article was translated from the original, written in Italian language, using Google Translator. 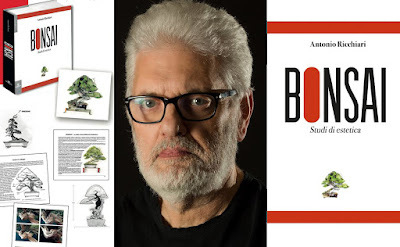 Antonio Ricchiari: BONSAI. Aesthetic studies. 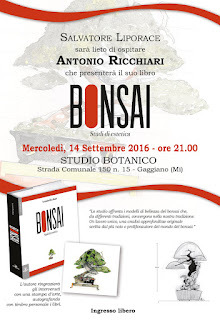 Antonio Ricchiari, will be special guest, September 14, 2016 in Gaggiano (MI), at Studio Botanico of Salvatore Liporace to present his new work: "Bonsai. 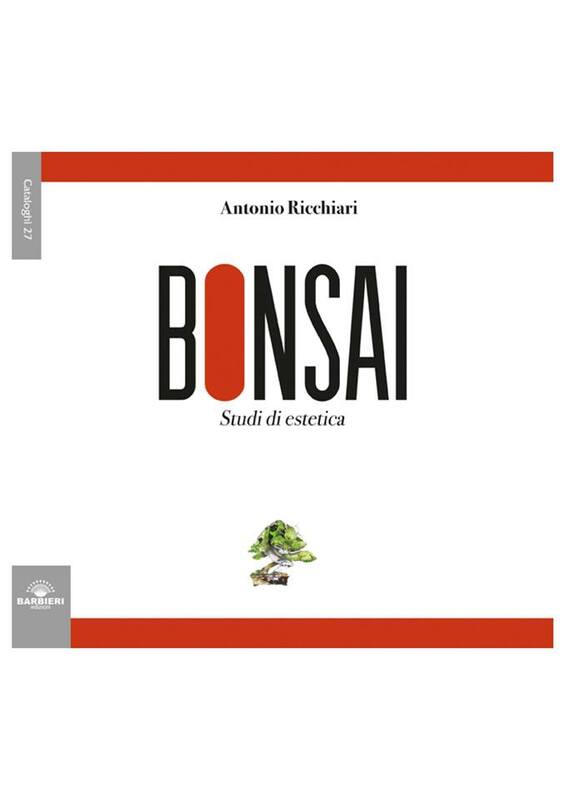 Aesthetic studies"
"The aesthetic development requires the harmony between the bonsai and the reality that they live because the aesthetic faculties are by their nature intended, basically sympathetic to the ideal representation of the different feelings that characterize the nature of man. 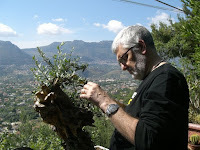 We must have people to taste the noble pleasures of the beautiful fruition, when it observes, often distracted, a bonsai. The years in which we live are years of fragments, details, short-range perception, years that have shattered the unity of the arts. Years in which lacks an ideal bold project to reconstruct the contrasts and rethink, outcome almost to say, the world. And here it is analyzed by a Western bonsai artist with a fundamentally Western culture, so performing an artistic culture of a country that has left a deep mark everywhere in the world. 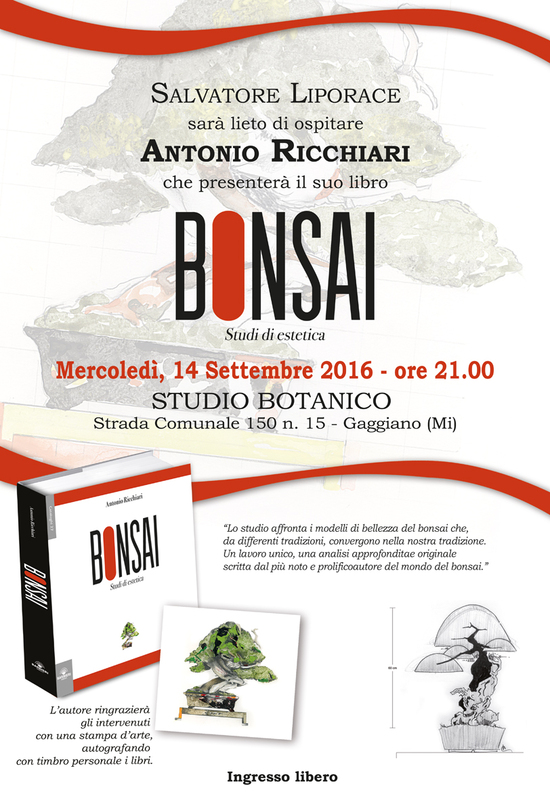 This work is the result of experiences and studies worked out over time, in the light of a bonsai in constant stylistic evolution." 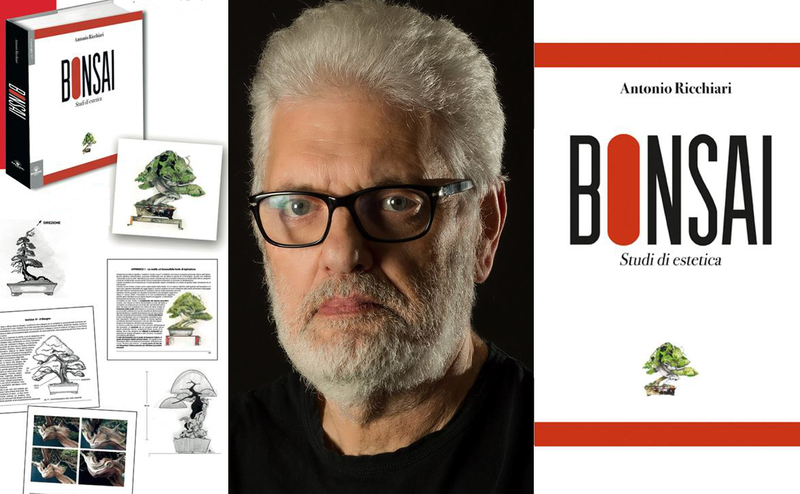 "The study deals with models of beauty of bonsai, from different traditions converge with our tradition ... A unique work, an in-depth analysis written by the most famous and prolific author of the bonsai world"
Antonio Ricchiari thank the participants giving them a numbered art print and autographing books with personal stamp. Not miss this event ! !